The pricing for players on the Giants, 49ers, Seahawks and Broncos stick out like a sore thumb, and it’s because of matchup. The Giants host the Jaguars, who led the NFL in yards per play allowed last season. The 49ers play at the Vikings, who were first in Defensive DVOA last yea (via Football Outsiders). The Broncos and Seahawks — both in the top five of yards per play allowed — face each in Denver. 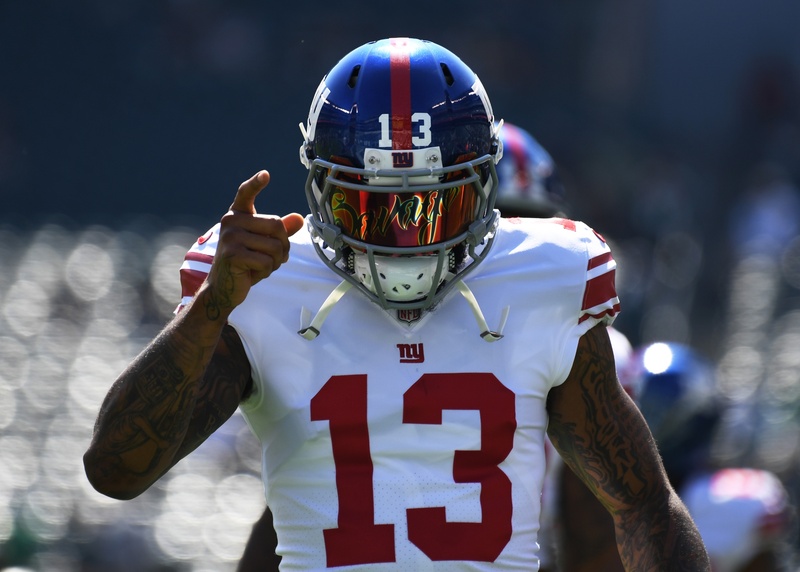 DraftKings has been very aggressive slashing the price of guys like Odell Beckham ($7,000), Russell Wilson ($6,200), Marquise Goodwin ($4,600), Emmanuel Sanders ($5,000), Doug Baldwin ($6,200) and Jerick McKinnon ($5,800). For example, Beckham has never been below $8,000 over the previous two seasons and topped out at $9,500. The key point is that these salary adjustments are based on last season’s most difficult defensive matchups. Of course, the strength of NFL defenses can vary wildly on a year-to-year basis. The Texans were third in yards per play allowed in 2016 and then sunk to 29th in 2017. The Browns were 27th in 2016 and a respectable 11th in 2017. So if we can identify price adjustments that aren’t warranted for this year’s defenses, we’ll have a big edge. That is the case with the Seahawks, who are no longer the Legion of Boom after losing huge contributors like SS Kam Chancellor, DT Michael Bennett, DT Sheldon Richardson, CB Richard Sherman and CB DeShawn Snead. Stud FS Earl Thomas is holding out and not expected back in Seattle. The salary adjustments on the Broncos in Week 1 on Sanders, Demaryius Thomas ($5,700) and even Case Keenum ($5,100) create significant value once we adjust for this season’s Seahawks defense. Now let’s look at the other side of the coin. Last season, the Buccaneers finished dead last in yards per play allowed and were 30th in DVOA. 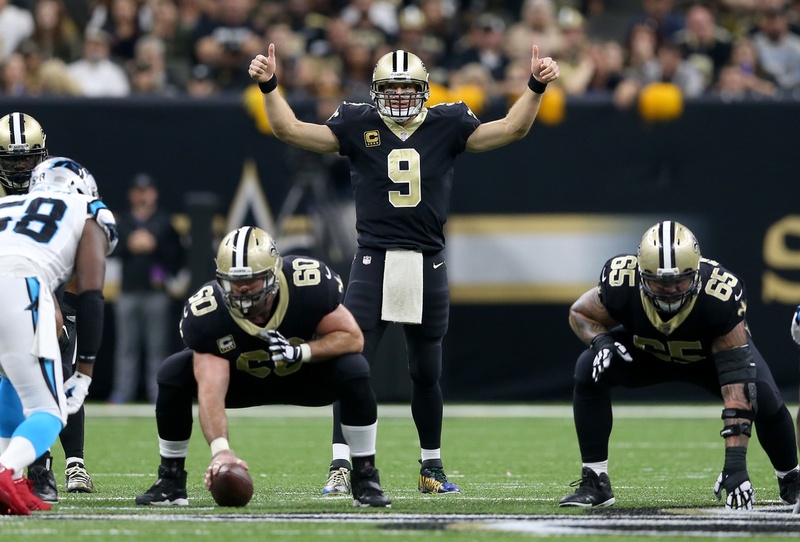 However, Drew Brees ($6,800), Michael Thomas ($7,800) and Alvin Kamara ($8,500) are priced right around where they were at the end of last season. The Bucs’ defense has a chance to be much improved up front this season after adding DE Jason Pierre-Paul and DE Vinny Curry to go with first-round DT Vita Vea and dominating DT Gerald McCoy. However, the point is we don’t see the same salary adjustments we saw for the good defenses. The Bengals face the Colts, who were 30th in yards per play allowed, 23rd in DVOA and dead last in pass yards per attempt. Yet Andy Dalton ($5,800) and AJ Green ($7,300) are in line with their normal prices. 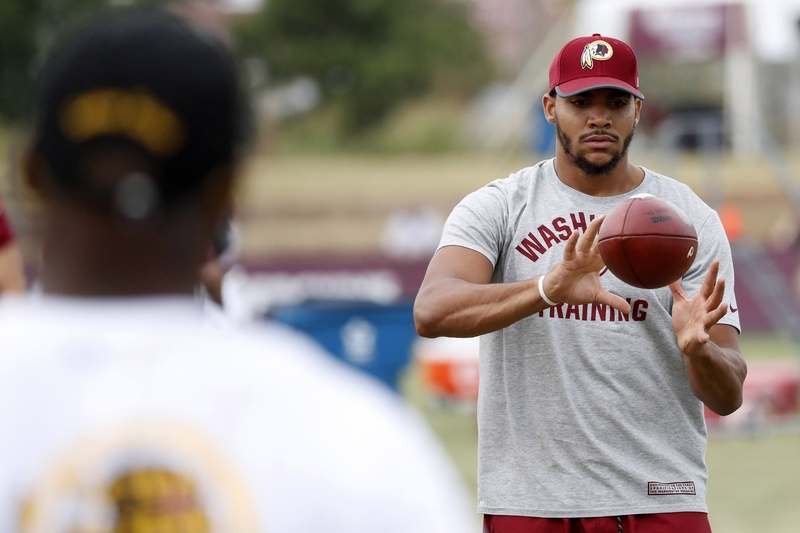 In season-long fantasy, we have to worry about wildly injury-prone players like Jordan Reed and Sam Bradford sustaining health. We have to worry about LeSean McCoy’s potential suspension, about Dalvin Cook’s surgically repaired knee and about Andrew Luck’s balky throwing shoulder. And since DraftKings’ baseline pricing at least somewhat correlates with season-long ADP, those worries are reflected in Week 1 salaries. However, we only need these players to perform for one week in our DK lineups. So if Reed ($4,000) is healthy for that opener in Arizona, we know he’s underpriced relatively to talent. Same can be said for Cook ($6,200), who gets a nice matchup at home against the 49ers and Luck ($6,100), who is looking strong at camp. McCoy is a huge risk in season-long, but if he plays Week 1, he’ll be looking at 20+ touches for $6,000. We don’t have to bake in the risk of what happens down the line. A recurring theme on DraftKings is the annual depression of low-end tight end pricing, and this year is no different. 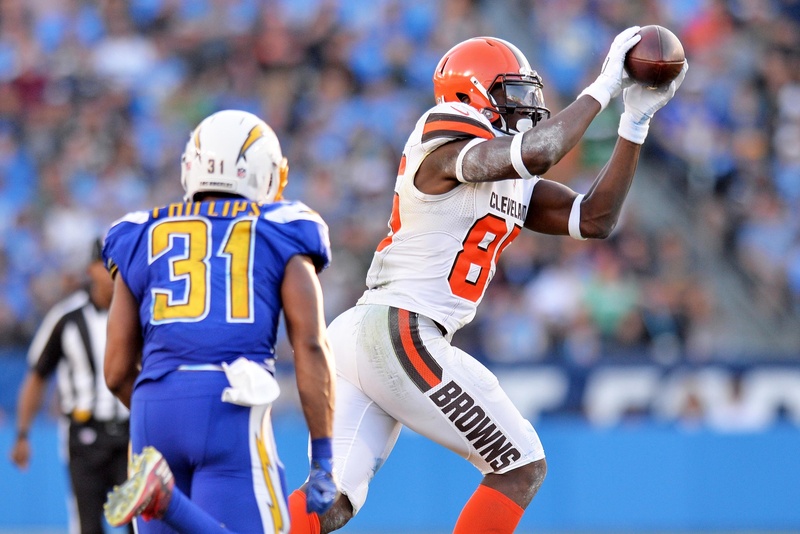 David Njoku is the TE10 in ADP right now but he’s priced at $3,400 — just $400 about the WR/RB salary floor. Reed’s injury concerns (noted above) combined with his position put him at just $4,000, cheaper than wide receivers like Danny Amendola and Chris Godwin. All the intriguing tight end fliers such as Ricky Seals-Jones, Austin Seferian-Jenkins, Jack Doyle, George Kittle and Vance McDonald are priced below $3,600. It makes a spend on Travis Kelce ($6,400) or Rob Gronkowski ($6,900) difficult to swallow. They’re priced similarly to their wideout counterparts such as Adam Thielen ($6,900), T.Y. Hilton ($6,800), Larry Fitzgerald ($6,600), etc. There are 24 starting quarterbacks on the Week 1 main slate. A whopping 17 of them are priced between $6,500 and $5,000. It creates a situation where paying down at quarterback remains valuable, but not quite as valuable as it’s been previously. The gap between Bradford ($5,200) and Russell Wilson ($6,200), or Tyrod Taylor ($5,400) and Philip Rivers ($6,400) is just 2 percent of our salary cap. We’ve seen Wilson up at $7,400 as recently as last season and Rivers hover around $7,000 as well. Back in June, I wrote an article about winning trends in the Fantasy Football Millionaire aka the Milly Maker. 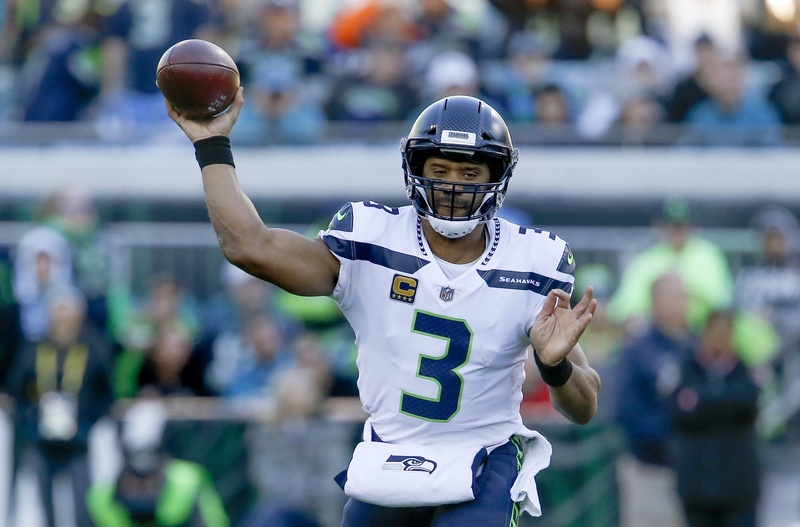 Note that although just 23 percent of the field spent less than $6,000 at quarterback, 45 percent of the winners have spent under that $6,000 mark. The context of the slate — an exorbitant number of value plays at WR/RB would open up more salary space at QB — certainly plays a factor. But the clustering of quarterback pricing in Week 1 makes it worth at least considering shying away from our standard “Pay Down at QB” mantra.